PurFlo has added a special touch to the traditional Moses Basket and is proud to present the PurAir Breathable Bassinet. With washable, breathable mesh panels and a unique PurFlo breathable mattress the Bassinet is like a traditional Moses Basket only better. 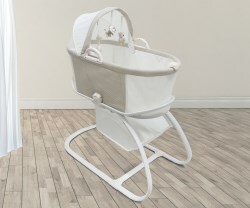 The mesh panels at the head and foot of the Bassinet means optimum air circulation and temperature control for babies. PurFlo's bassinet was designed with mums in mind and is perfect for post birth, especially following a Caesarean, bending and twisting can be difficult. PurFlo chose to include a free stand which means the bassinet is at the perfect height to easily and smoothly pop baby down for a sleep. Complete with a stand, a large storage basket, three hanging toys and a baby soothing centre means the PurAir Bassinet offers everything for those first nights with a new baby. At only £149.99 it is excellent value for money. 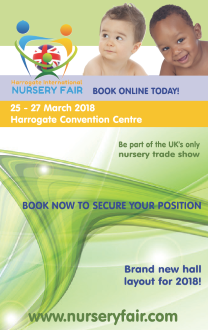 The soothing centre includes calming sounds, lullabies, vibrations and a soft glow nightlight meaning you can check on baby with minimal disturbance.